Oboist Naomi Bensdorf Frisch, a Chicago native, is Principal Oboe of the Illinois Philharmonic Orchestra and the Elmhurst Symphony Orchestra. From 2003 through 2018, Naomi was principal Oboe of the Wisconsin Chamber Orchestra and also performed with the Milwaukee Symphony Orchestra, the Tulsa Philharmonic, the Elgin Symphony Orchestra, and others. An avid chamber musician, Naomi has performed as a soloist and chamber music collaborator with many ensembles throughout the Midwest and coaches woodwind chamber music for the award winning Midwest Young Artists Conservatory Program. Ms. Bensdorf Frisch received her Bachelor of Music from Northwestern University as a student of Ray Still and her Master of Music from DePaul University as a student of Robert Morgan. 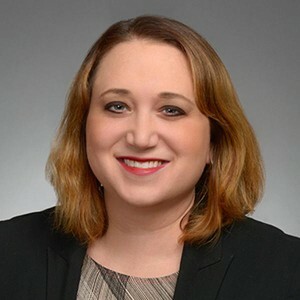 Recently, Ms. Bensdorf Frisch completed her Juris Doctorate at the Chicago-Kent College of Law. In addition to playing the Oboe, she has been working as a plaintiffs’ employment law attorney since May of 2018. 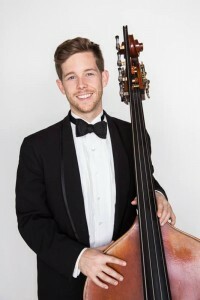 A native of West Palm Beach, Jeff Adkins is a double bassist who thrives on connecting with audiences across musical genres. Jeff enjoys a diverse career in South Florida’s vibrant music scene, currently performing as a member of Florida Grand Opera, Palm Beach Opera, and Nu Deco Ensemble where he also performs on electric bass. Jeff has had the fortune of supporting great artists including Gloria Estefan, Sir James Galway, Andrea Bocelli, Placido Domingo, Mario Cantone, Bernadette Peters, and The Platters. Also a committed instructor, Jeff coaches young bassists at The Alexander W. Dreyfoos School of the Arts and The Bak Middle school of the Arts. Additionally, Jeff is an Artist in Residence at The Conservatory School in North Palm Beach. As a private teacher, Jeff encourages students to seek their own path by attaining the skills necessary for personal growth and expression. 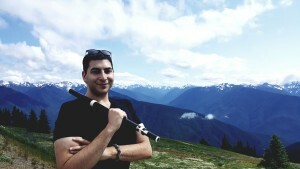 Many of his students have continued their studies at top music programs throughout the country. Jeff began his studies on double bass at age eight at Palm Beach Public School. He holds Bachelors and Masters Degrees from Lynn Conservatory of Music where his primary teachers were Shigeru Ishikawa and Timothy Cobb. For his CD of the Bach Viola da Gamba Sonatas with cellist Audrey Sabattier-Cienniwa (Whaling City Sound), KBAQ radio (Phoenix, AZ) called his ability to accompany “spot-on…perfect.” His recording with Grammy Award-winning uilleann piper Jerry O’Sullivan was called “drop-dead gorgeous” and named one of the top ten Irish traditional albums of 2010 by The Irish Echo. 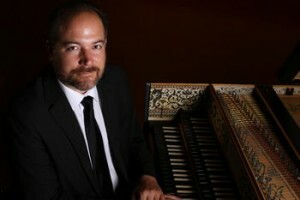 An advocate of new music, he is featured on a two-CD set of music by composer Larry Thomas Bell titled In a Garden of Dreamers (Albany Records). For more information, visit www.paulcienniwa.com. August 2017 — Please destroy all previously dated materials. Please request permission to edit or amend. 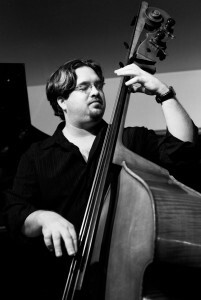 Jamie Ousley has been one of the most in-demand bassists in south Florida since he moved to Miami in the fall of 1998 to attend graduate school in the prestigious Jazz program of the University of Miami. He has since completed his Doctorate of Musical Arts in Jazz Bass Performance and continues to perform and teach both locally and internationally. 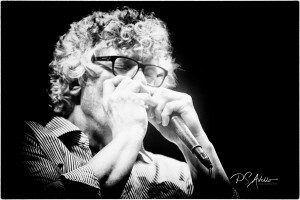 Jamie has performed with many artists including: Ira Sullivan, Benny Golson, George Shearing, James Moody, Eddie Higgins, Arturo Sandoval, Dave Liebman, John Fedchock, Maria Schneider, Vince Mendoza, Jim McNeeley, Nestor Torres, Bucky and John Pizzarelli, Carmen Lundy, Harry Allen, Bob Berg, Duffy Jackson, Steve Davis, Adam Nussbaum, Vic Damone, Nicole Henry, Annie Sellick, Suzanne Somers, Stephanie Nakasian, Hod O’Brien, Wycliffe Gordon, Johnny O’Neil, Jason Marsalis and Les DeMerle. Jamie has performed at many international jazz festivals and locations including: the Ballydehob International Jazz Festival in Ireland, the Montego Bay Jazz Festival in Jamaica, Festival Mizik Jakmel in Haiti, Marian’s Jazz Room in Bern Switzerland, the Berlington Vermont Jazz Festival, “Jazz in June” in Lincoln Nebraska, Festival Miami, the International Association of Jazz Educators in New York and Los Angeles, and at “Azul” in Osaka, Japan. 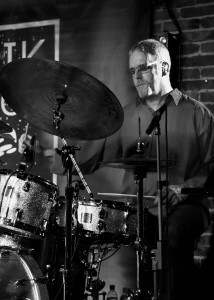 Originally from Bremen, Germany, Goetz studied at University of North Texas and started his career as a studio/ live drummer and percussionist in Germany before relocating to South Florida in 1992. He quickly became embedded in several camps of the South Florida music scene, from Jazz to Blues as well as Latin and Pop music styles. 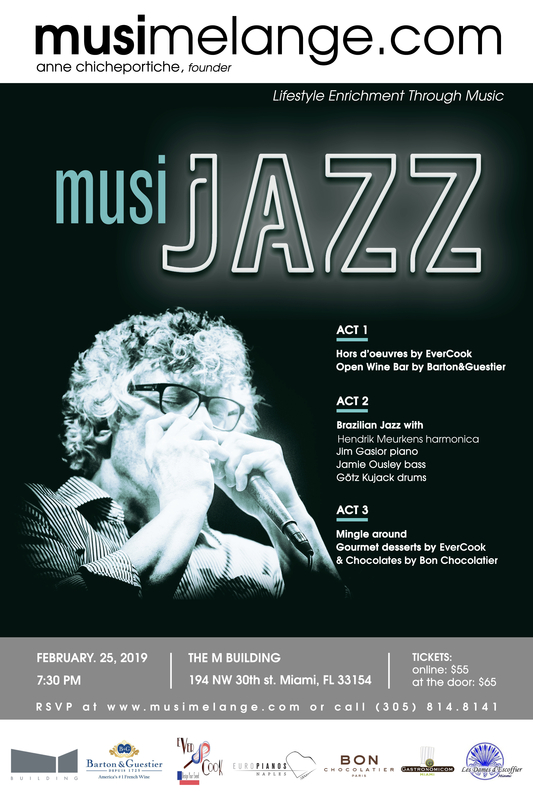 He received a Grammy nomination playing with Sammy Figueroa in 2005 and has since then supported a variety of artists like, Raul Midon, Randy Brecker, Toots Thielemann, Bobby Lee Rodgers, Claudio Roditi and Rose Max to name a few. Previously an adjunct faculty member at FIU’s Jazz department, he enjoys teaching drums as well as Latin percussion. His 2017/18 season will see many exciting projects, including a new production of Monteverdi’s L’Incoronazione di Poppea at the Staatsoper Unter den Linden in Berlin, his debut at the Staatsoper Hamburg as well as Rossini’s La Donna del Lago at the Opera de Lausanne, where the artist will not only sing the demanding role of Malcolm but also function as director. 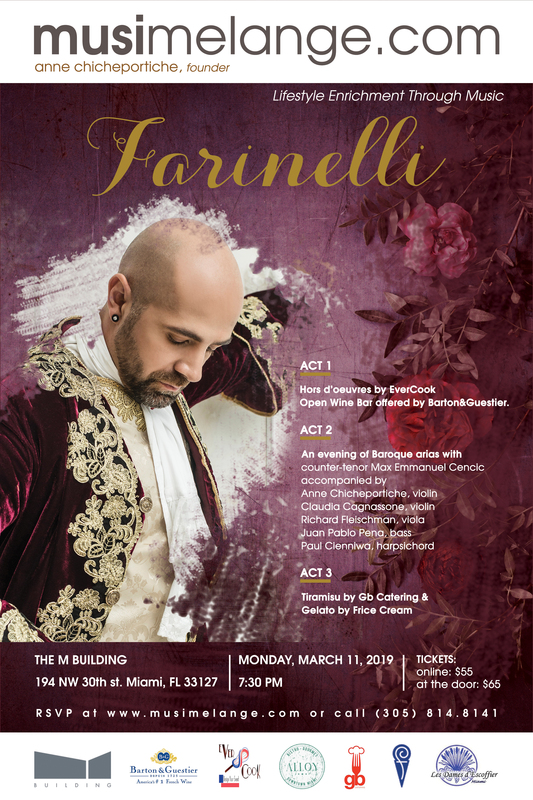 Another high point will be the Europe tour with his new solo programme named Porpora (coinciding with the 250th anniversary of Nicola Antonio Porpora’s death) with concerts in Paris, Halle, Toulouse, Munich, Madrid and other cities. At the opening of the Markgräfliches Opernhaus Bayreuth he will perform the title role in Hasse’s Siroe, and, again, direct the production. On 21st September 2017, Max Emanuel Cencic celebrated the 35th anniversary of his first appearance on stage, with a performance of Orfeo in Gluck’s Orfeo ed Euridice. His solo-recordings are every bit as riveting: with Venezia he charmed audiences and critics alike with highlights from Venetian opera, while the CD Rokoko contained a fascinating compilation of arias from the extended and virtually unknown opus of Johann Adolph Hasse. Max Emanuel Cencic’s most recent, critically acclaimed CD, Arie Napoletane, is dedicated to masterpieces of the Neapolitan school. His wide-ranging discography includes several world premiere recordings and has received a number of awards, among them the Diapason d’Or, the Preis der Deutschen Schallplattenkritik, and Croatia’s Porin Prize. His discs have been “Editor’s Choice” in Gramophone magazine on several occasions. 2018, 250 years after Nicola Antonio Porpora’s death, two CD-recordings of the composer’s works will be published: Germanico in Germania in January with Max Emanuel Cencic in title role, and, in March, Cencic’s new solo CD Porpora.